What do an NFL player, the mom of child with cerebral palsy, an atheist turned priest, a father of a family estranged from his own dad, a radio show host, and a country musician all have in common? They have all grown closer to Jesus Christ through the intercession of the Blessed Mother Mary by praying the Rosary. 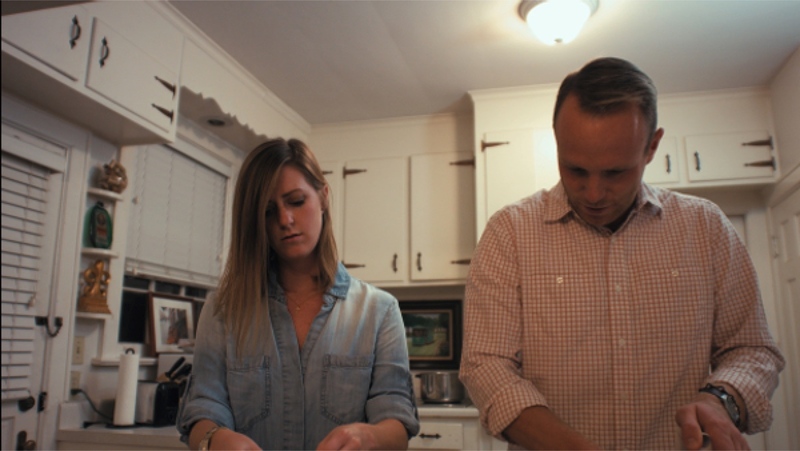 “Power in My Hands” is a new documentary film produced by the Rosary Evangelization Apostolate directed by John Shoemaker and Ryan Freng and written by Margie Mandli, which seeks to bring the power of this beautiful prayer to the younger generation. Sometimes we may be tempted to think that the rosary is only for “old ladies and funerals,” as one interviewee put it, because that’s the only time we see it being said. But this is so far from the truth. With an original score and stunning images of Jesus and his Blessed Mother, “Power in My Hands” compellingly witnesses to the effectiveness of the rosary through the stories of real people. Contributing major interviews to the film are EWTN hosts Jeff Cavins and Doug Barry. Nancy Salerno, already a mother of three, found out she was carrying twins but that one of the twins had died in the womb. When the other was born, he had cerebral palsy. Salerno tells of her struggles in dealing with the grief over her lost twin and with caring for her special needs son. Where does she get the strength to live each day in thanksgiving and joy? From praying the rosary. Deacon Harold Burke-Sivers of Portland, OR, was estranged from his father since he was a teen. When he moved from his home in New Jersey to Oregon his mother made one request of him: that he pray daily for his Dad. Resistant to the idea he did so only for his Mom’s sake. 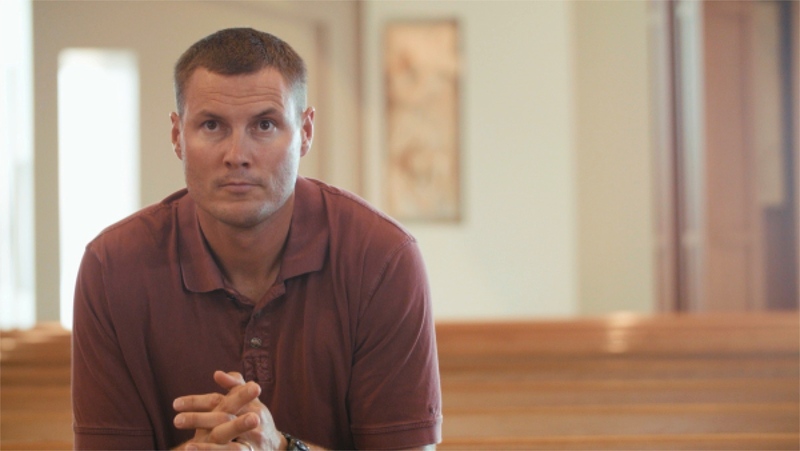 When family reconciliation happened after 20 years, Burke-Sivers found out that his mother had prayed the rosary daily for the intention of being reconciled with her husband. Married couples and families are also encouraged to pray the rosary. Rebecca, a young musician from Nashville, prayed the rosary, asking Mary’s intercession to find a good man. Chris was the answer to her prayers. Now married, Chris and Rebecca pray the rosary daily to strengthen their marriage. Kelly Wahlquist, founder of WINE, Women in the New Evangelization, tells how her kids used to roll their eyes when it came time for the family rosary, but years later, her daughter, in a paper for a college class, mentioned that praying the rosary as a family was one of the most influential parts of her childhood. The documentary takes on American culture’s ideas about power and freedom, showing how the Catholic understanding of these concepts turns the world’s understanding upside down. True power comes from knowing that God has all the power and we do not. True freedom does not mean being able to do whatever we want, but being free to do what is right. All this is helped along when we reach out to our Blessed Mother, especially through the prayer of the rosary. It is she who will bring us to her son. “Power in My Hands” will renew your resolve to take up the rosary in your own hands and ask Mary to lead you closer to her Son, Jesus. The film will also greatly aid religious education teachers as it would be appropriate to show to religious education classes, RCIA groups as well as those preparing for the sacraments of Baptism, Confirmation, or Marriage. For more information on the film, visit their website at www.powerinmyhandsthemovie.com. There you will find information on various screenings happening around the country as well as information to help you bring the film to your parish or school.